Oily Skin Part II: What Can You Do About It? In last week’s article, you learned what facial oil is and I discussed what the causes of oily skin are. Today we’ll find out if there’s anything we can do about oily skin and what are the best ways to manage it. Get hydrated! Yes, drinking water is important to overall health but it’s not enough to keep your skin hydrated. 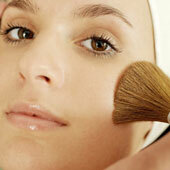 You MUST use a hydrating product that’s going to draw moisture to the skin. Look for ones that contain Sodium Hyaluronate (Hyaluronic Acid). This ingredient is like a tall glass of water for your skin. My favorite is HydraBalance by Face Reality Acne Clinic. Just like the name says, it HYDRATES and it BALANCES. I just LOVE this stuff! Start using the correct products for your skin type. Steer clear of products that are too harsh and that can strip away the lipid barrier of the epidermis (top layer of skin). Likewise, don’t OVERUSE your skin care products. Washing your face twenty times per day isn’t going to get rid of the oil; it just compounds the problem. Oh and when you do wash your face, use TEPID water only. Water that’s too hot will leach moisture right out of your skin! If it all possible, get a home humidifier installed to run during the cold months of the year. Dry indoor heating is horrible! It dehydrates the skin. If a home humidifier is too expensive, consider getting a small unit that you can run at night while you’re sleeping. A good brand is Honeywell. Just be sure to change the filter often enough to prevent mold & bacteria growth! Don’t even think about using oil as a moisturizer. I hate to break this to you but oils DO NOT moisturize the skin. They only create a barrier that helps to prevent TEWL (transepidermal water loss). Hydrate your skin first with a water-based moisturizer and then you can use an emollient-type of product on top to seal in that moisture. My favorite is Clearderma by Face Reality Acne Clinic. I put their HydraBalance on first and then I put on a light layer of Clearderma. Voila! Instantly plumped and hydrated skin. Me likey. I can’t believe I even have to say this but…STOP TANNING! It’s bad for you and your skin. Enough said. 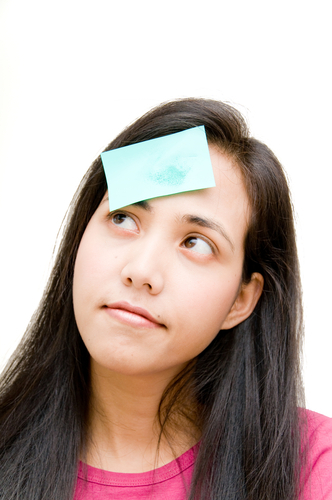 Hey Kelley, what about those oil-blotting papers? Should I be using these? Save yourself some $$$ and grab a few toilet protector sheets the next time you visit the ladies room. Don’t be embarrassed! They’re there for you to use. There are no rules as to how you use them, right? Cut them up into small squares and carry them in your purse. Voila! Oil absorbing sheets for free! When you want to absorb some excess shine, GENTLY lay one of the sheets onto your oily spots and let the paper do the job of absorbing the oil. DO NOT PRESS it into your skin. When done, throw it out. Lastly, mist a few pumps of PRIIA’s Hydrating Spritz on our Deluxe Powder Buffer Brush and lightly sweep across your face to refresh your makeup and give some extra hydration to your skin. *Optionally, you can dust on a little extra HydraPrime to help absorb oil throughout the rest of the day. I hope you enjoyed these tips! Please feel free to share this post with anyone you know who’s dealing with oily skin! This entry was posted in Skin Care & Treating Acne and tagged acne, beauty, beauty tips, cosmetics, Hydraprime, loose mineral foundation, oil blotting papers, oily skin, PRIIA, skin care, skin type on December 5, 2016 by Kelley Maddison. Do oily skin types need LESS moisture than drier skin types? Leave your answer in the comments box below. Thanks! I’ll reveal the truth in my next post. This entry was posted in Skin Care & Treating Acne and tagged beauty, dry skin, oily skin, skin care, skin type on January 29, 2010 by PRIIA Cosmetics.